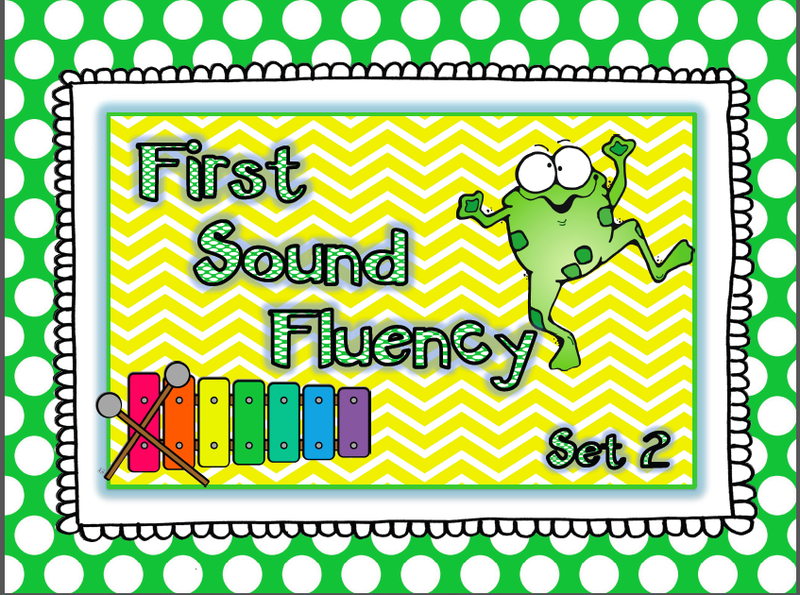 We just uploaded another set of First Sound Fluency cards on our TPT store. Click (here) to have a direct link to this great freebie. I have been using our first set(click here) for the past 20 days of school. I have the kids get a dry erase board, marker, and eraser. I put the cards in my hand. I use the cards to say the picture name. Then as fast as they can they say the first sound. Then as soon as they say the first sound, they write the lowercase letter. I use chart paper to model the correct formation of the letter. Obviously some days we focus on capitals and the other days lowercase. I can honestly say that I am pretty excited to do my first DIBELS progress monitoring in the next week. I have seen HUGE improvements with them understanding the first sounds and I have seen HUGE improvements in their handwriting along with their ability to write the letter correctly before I even show them how to write the letter correctly. I told SueBeth that I definitely need another set for me to use because they are loving this "game" that we play every day. I am sure that I could easily put a set in a center. I could have them turn the picture cards over, pull a card, say the word, say the first sound, and then write the letter. These cards could even be used in a partner setting if that is how you want to use this activity. One partner says the picture name while the other partner gives the first sound and writes the letter. There are so many uses for this first sound fluency freebie. While you stop over at our TPT store, check out some of our great DIBELS products. Headed into school this weekend and plan on taking pictures of some of my evidence binders that some of you have been asking me to share with you. I think you may need to make more of the flashcards! They're great and I've already downloaded them! Thank you!